In a rollover accident, there are a number of factors which can be blamed in causing the SUV van or pickup truck to lose control and rollover. The height, size and weight distribution are both large contributors to many such rollovers accidents, as is the comparatively narrow wheel base with a short wheel base, which results in a higher center of gravity in these vehicles, ultimately making them harder to steer and brake in an emergency situation or event therefore easier to tip up or trip and consequently flip-over or roll over. According to The National Highway Traffic Safety Administration (NHTSA) a driver are more likely to be involved in a rollover of a SUV or a pickup than any other form of transportation. Rollover crashes account for more than 35% of all occupant fatalities and of those a much higher percentage of deaths occurred on SUVs and pickups. The death rate in SUV rollover accident is about 43% higher than in a passenger car and even almost 10% higher than in a pickup truck rollover. The lowest death rate of all vehicles is in passengers cars that roll over. In many of these SUV and truck rollovers, the occupant are ejected from the vehicle. In fact according to NHTSA, 77% of the passenger that were ejected died due to the ejection or partial ejection. In 2008, NHTSA concluded that of all SUV and truck rollovers those that occur in rural areas happen most often. In rural rollover accidents, SUV’s, not pickup trucks typically are the most common vehicle involved. The rural conditions of driving in the farm land and country side where deer and other animals dart across the road, cows and horses can get out of the fences and gates and be loose on the highways and other road hazards present many immediate dangers to the SUV and pickup truck driver, especially when driving at night when these animals are the hardest to see and often running or darting across the highway. According to the National Occupant Protection Use Survey, also known as NOPUS, seat belt use in 2009 was at its highest averaging about 84% with 86% seat belt usage in passenger cars, 87% SUVs and Vans and the lowest in occupants of pickup trucks at 74%. 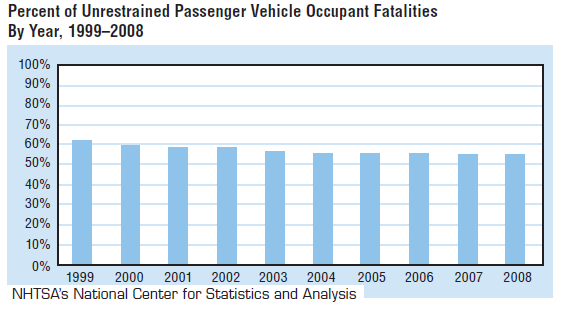 In occupant fatalities, it was shown that 56% of those killed were unrestrained. In a rollover accident, a working (non-defective) seat belt is essential in protecting the occupant in a rollover crash. Contrary to most police officers and highway patrolmen investigating a rollover accident, some seatbelts will unlatch during a wreck or rollover. This is due to known defective design in some buckles, in which the seat belt buckle can unlatch during the loading and unloading of the body against the back side of the latch of a rollover. It is during one of those loading events that a buckle can unlatch and free the occupant to be thrown about inside the rolling vehicle, crushed by the roof, impacted on a roof pillar or be ejected out a side window, sun-roof, or even through the front windshield. If you or someone you know has been seriously injured in an SUV or truck rollover, then contact our law firm and find out whether any design defect of the vehicle, seat belt, roof pillars, tires or airbags caused or contributed to the rollover or the resulting injuries. We can assist you in finding and protecting the vehicle as evidence and studying the facts of the rollover along with the use of a rollover expert and engineer to help prove the case. Talk with Mr. Willis, a Board Certified Trial Lawyer with more than 30 years of product liability and auto design defect litigation experience. 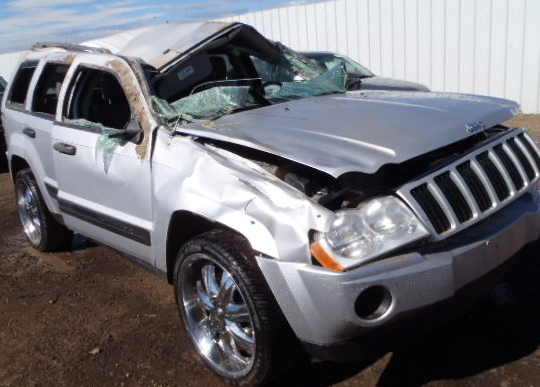 To learn more about what we may be able to do for you, please contact the SUV rollover accident attorney today by calling 800-883-9858.